It has been eight months since Phish debuted their new album in its entirety on stage at the Halloween show in Atlantic City, much to the surprise of fans who assumed (quite wrongly) the band would instead cover a classic album as they have done in the past. Reviews of that performance and the songs have been mixed among their fan base, and now with the album release of Fuego fans can finally hear the finished product that began that fateful night. And once again, fans are going to be quite surprised. Rather than just a rehash of those songs, Phish have made their mark with quite possibly their best sounding album of their storied career. This is not to say it is necessarily their best work, but certainly might be their most unique. To be frank, this collection of songs might be more comfortable on a 70s contemporary radio station than a modern day release. Maybe it’s the breezy rock ballads like “Waiting All Night” and “Winterqueen”, or possibly the accompanying horn sections in “555” and “Wombat” that give it that feeling. But in the end it may mostly fall on having famed rock producer Bob Ezrin guiding the direction of the album, whose helping hand steered each track deep into classic rock territory, while still allowing the final cut to be unmistakably Phish. Those fans that may fret about this release being too soft should soak themselves in the energetic, nine-minute progressive title track, or revel in the blistering guitar solo Trey Anastatio lays down on “Wingsuit”. The Page McConnell-penned “Halfway to the Moon” is also a welcome addition to the album; a Traffic-laced psychedelic tune that carries the listener into space and halfway to…well, you get it. Despite the fact that Phish have been writing more pop-inspired songs these days than the lengthy, prog-infused numbers of the 90s, one cannot argue the fact that the evolution of the band has been entertaining, if not inspiring. Many bands three decades into their history cannot boast producing such bold projects that show actual growth rather than churning out the same old stuff. 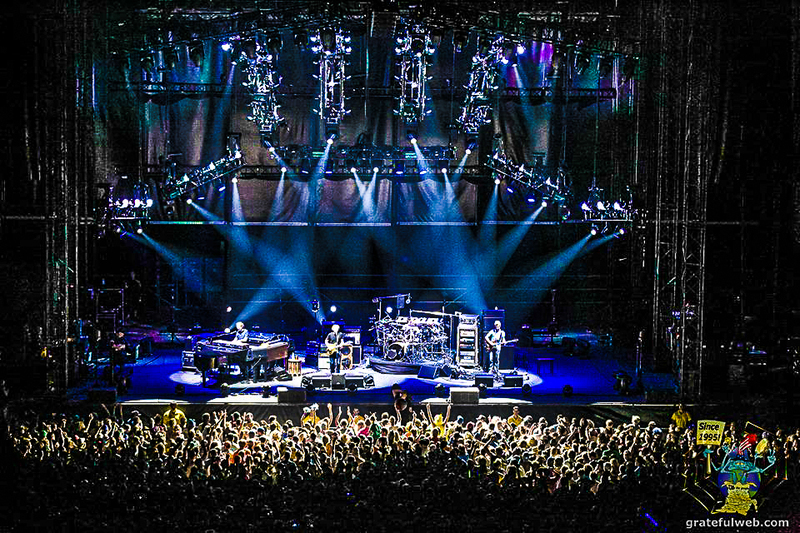 Fuego will certainly be greeted with diverse reactions within the fan community, but the fact of the matter is many fans of Phish will judge these songs upon how they become presented on stage in the live setting now that they have been truly finalized. That has always been the standard for fans of the band, because let’s face it that is where the group truly excels. However, dismissing this release as anything but marvelous would be regrettable. Go into it with an open mind, and you might just find yourself rather impressed.